Further to the adoption in May 2018 of three European regulations limiting the authorisations of imidacloprid, clothianidin and thiamethoxam products (Regulations (EU) No. 2018/783, No. 2018/784 and No. 2018/785) for use under permanent greenhouse or in seed treatment intended to be used only in permanent greenhouse, ANSES has withdrawn 19 approvals or parallel trade permits for products only authorised for field application or for the treatment of seeds intended for use in open field. ANSES also restricted 17 approvals to limit them to greenhouse uses. These withdrawals and modifications of the conditions of use are effective as from 1st September 2018. Concurrently and in addition to these European provisions, in compliance with Decree 2018-675 of 30 July 2018, the use of acetamiprid, clothianidin, imidacloprid, thiacloprid and thiamethoxam-based products is prohibited in France from 1st September 2018 including for greenhouse uses that remain authorised in the European regulations. The French E-phy database has been updated accordingly for the plant protection products concerned. Lynxee consulting’s team is at your disposal to answer your questions. The list of substances from the neonicotinoids family banned from 1st September 2018 in plant protection products and seed treatments was published on 1st August. This ban is planned by the law for biodiversity regrowth, nature and landscapes published in 2016, exemptions being possible on a case by case basis until 1st July 2020. According to Decree 2018-675 of 30 July issued under article L.253-8 of the French Rural Code, five substances are concerned: acetamiprid, clothianidin, imidacloprid, thiacloprid and thiametoxam. European restrictions are already in place since 2013 for three of them (clothianidin, imidacloprid and thiametoxam) (see Regulation (EU) No.485/2013). 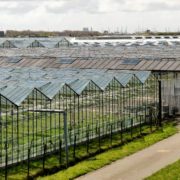 These restrictions have just been extended so as to only allow the use of these three active substances in permanent greenhouses where no contact with bees is expected (Regulations (EU) No. 2018/783, No .2018/784 and No. 2018/785 of 29 May 2018). Version II+ of Ecophyto plan, updating and improving Ecophyto II, was examined during the Strategic Orientation Committee (COS) of 27 July 2018. This new version features the actions planned in the French action plan of 25 April 2018 on plant protection products and on a less pesticide-dependent agriculture and in the French action plan of 22 June 2018 for a ban of glyphosate within three years . Among the issues, the ministers notably announced that, in a first step, renewals of authorisations of glyphosate-based products will only be obtained for a maximum period of three years. Besides, the uses for which comparative assessments will underline that non-chemical alternative solutions are available and are commonly used, will be banned progressively. With regard to neonicotinoids, ministers indicated that only few exemptions to the ban are envisaged. Those exemptions will only concern acetamiprid-based products, for low volumes and after a comprehensive risk assessment. The public consultation for Ecophyto II+, initially announced for July 2018, will be held in Autumn 2018. The plan is expected to be published by the end of 2018. 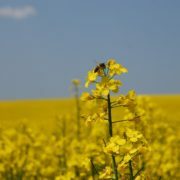 The French Agency Anses published on May 30th the final opinion regarding risks and benefits for plant protection products containing neonicotinoids and their alternatives. The assessment was initiated in 2016 as part of the implementation of the Law for biodiversity regrowth, nature and landscapes. 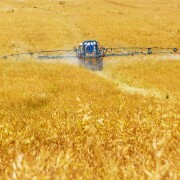 This Law sets a ban for products containing active substances from the neonicotinoids family and for seeds treated with these products from 1st September 2018, exemptions being possible until 1st July 2020 based on a comparative assessment performed by Anses of the benefits and risks linked to the uses of these products and of available substitution products and alternative strategies. It is to be noted that restriction measures regarding the use of this insecticide family are also set at EU level. Indeed, the use of Imidacloprid, Clothianidin and Thiamethoxam has just been restricted to permanent greenhouses or to the treatment of seeds intended to be used only in permanent greenhouses by Regulations (EU) 2018/783, 2018/784 and 2018/785 published on May 30th. The resulting crop must stay within a permanent greenhouse during its entire life cycle. Member States shall amend or withdraw existing authorisations for products containing these active substances by 19 September 2018 at the latest, with a grace period, if any, expiring by 19 December 2018 at the latest. Chemical and non-chemical alternatives were identified for most of the 130 authorised uses of neonicotinoids. In six cases, no alternative was identified. Chemical alternatives rely on the same family of active substances, or on a single active substance active or a single marketed product. In the current state of knowledge, the non-chemical methods appearing to be most suitable for immediately, effectively and sustainably replacing neonicotinoids are biological control, physical control by applying a protective layer (paraffin oil, clay, etc.) and mating disruption, when these methods are already available in France or easily transferable. Two risk indicators for human health (dietary and non-dietary exposure) and six risk indicators for environment (risks for birds, mammals, earthworms, aquatic organisms, bees and groundwater) were used but did not permit to globally and concisely conclude regarding substances with the least unfavourable risk profiles compared to that of neonicotinoids. Carrying out an assessment of the agricultural impact of the ban on neonicotinoids, aside from the fact that it does not address the environmental, health and social consequences for which there is no scientific consensus, raises a number of challenges that were not resolved, especially concerning the methodology, and data availability and reliability. The opportunities for alternative practices have yet to be confirmed and economical analysis methods devoted to the transformation and adaptation capacities of agricultural systems need to be developed. To conclude, Anses remind that a combination of different methods is needed to fight efficiently against pests. The Agency warns about the fact that the ban on the use of substances belonging to the neonicotinoid family risks causing increased resistance to other insecticides, especially pyrethrinoids, if they are used as alternatives. According to Anses, it is currently difficult to predict the impact of this ban on agricultural activity. Anses recommend speeding up the implementation of effective alternative methods for crop protection and management that are safer for humans and the environment (chemical mediators, beneficial insects, etc.). In February 2018, EFSA published updated scientific assessments that confirmed the risks to bees posed by the neonicotinoid active substances imidacloprid, clothianidin and thiamethoxam used as seed treatment or granules. EFSA presented the reports to risk managers from the European Commission and Member States in March 2018. On 27 April 2018, Member States’ representatives in a Standing Committee have backed the Commission’s proposal to further restrict the use of these three neonicotinoids. The agreed restrictions go beyond the measures already implemented since 2013 (see Regulation (EU) No 485/2013). All outdoor uses will be banned and the neonicotinoids in question will only be allowed in permanent greenhouses where no contact with bees is expected. The Regulation will now be adopted by the European Commission in the coming weeks and become applicable by the end of the year. In France, Anses published in March 2018 its second progress report on the alternatives to the use of plant protection preparations containing neonicotinoids, for which the final report will be published in the second quarter of 2018. In this second progress report, alternatives for uses on grapevines, industrial and fodder beets, straw cereals, maize and lettuce were identified, and risk indicators applied to them. Concerning the impact of neonicotinoids on human health, no harmful effects were identified for uses complying with the current marketing authorisations. However, with regard to thiacloprid, given the hazard characteristics of this substance and the significant increase in its use, the Agency recommends minimising its uses. 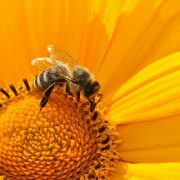 EFSA has published an update of its bee risk assessments of the three neonicotinoids clothianidin, imidacloprid and thiamethoxam, when used as seed treatment or granules. These neonicotinoids are currently subject to restrictions in the EU because of the threat they pose to bees. For the new assessments, wild bees (bumble bees and solitary bees) were considered in addition to honey bees and the recent guidance on risk assessment on bees (EFSA, 2013) was applied. Besides, an extensive data collection was performed to gather all the relevant available scientific evidences, including all those generated since the previous evaluations in 2013. 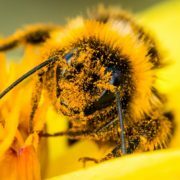 In line with the former assessments, three routes of exposure of bees were considered: residues in pollen and nectar, dust drift during sowing/application and water consumption. 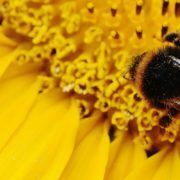 The new risk assessments highlighted a high risk for at least one bee type and one route of exposure for all the outdoor uses of clothianidin, imidacloprid and thiamethoxam. 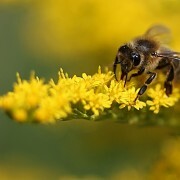 It was found that in many cases, bees foraging on the treated crop as well as in its vicinity are likely to be exposed to harmful levels of the neonicotinoid pesticides. Besides, EFSA underlined that in some situations, the persistence and accumulation of neonicotinoids in the soil could also lead to harmful residue levels in newly grown plants. EFSA thus concluded that the risk that pose neonicotinoids used as seed treatment or granules to bees is confirmed. Peer review of the pesticide risk assessment for bees for the active substance clothianidin considering the uses as seed treatments and granules. Peer review of the pesticide risk assessment for bees for the active substance imidacloprid considering the uses as seed treatments and granules. Peer review of the pesticide risk assessment for bees for the active substance thiamethoxam considering the uses as seed treatments and granules. Evaluation of the data on clothianidin, imidacloprid and thiamethoxam for the updated risk assessment to bees for seed treatments and granules in the EU. Q&A: Conclusions on neonicotinoids 2018. A draft Decree is on public consultation from 14/02 to 15/03/2017. A list of 7 Neonicotinoid active substances that will be banned from 1st September 2018 is given: Acetamiprid, Clothianidin, Dinotefuran*, Imidacloprid, Nitenpyram*, Thiacloprid and Thiamethoxam. 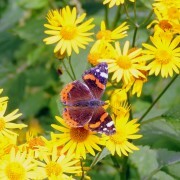 Neonicotinoids ban was set by the law for biodiversity regrowth. Exemptions may be granted until 1 July 2020 by joint Order of the Ministers in charge of Agriculture, Environment and Health. The Order will be based on an assessment covering the impacts on the environment, in particular on pollinators, on public health and on agriculture. The assessment will be made public. 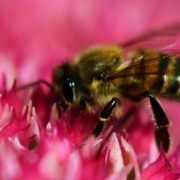 As announced during the presentation of Anses work programme for 2017, the evaluation by Anses of the benefits and risks linked to the uses of authorised plant protection products containing neonicotinoids compared to the uses of available substitution products and alternative strategies has already started. A total of more than 3500 uses will be assessed. First results will be available in 2017. After its definitive approval by the Parliament on 20 July 2016, and its validation by the Constitutional Council on 4 August 2016, the law for biodiversity regrowth, nature and landscapes was published in the French Official Journal on 9 August 2016. It took more than two years of legislative procedure for the bill to be written in national law. The final version contains 174 articles. – the inclusion of several principals in the Code of the Environment such as “non-regression of environmental protection” and “no net loss of biodiversity“. In the pesticide field, neonicotinoids ban was adopted. Indeed, article 125 sets that the use of products containing active substance(s) from the neonicotinoid family and the use of seeds treated with these products is forbidden from 1st September 2018. Exemptions may be granted until 1 July 2020 by joint Order of the Ministers in charge of Agriculture, Environment and Health. The Order will be based on the evaluation by Anses of the benefits and risks linked to the uses of authorised plant protection products containing neonicotinoids compared to the uses of available substitution products and alternative strategies (‘comparative assessment’). The assessment will cover the impacts on the environment, in particular on pollinators, on public health and on agriculture. The assessment will be made public. Moreover, for non-professional users, the self-service sales of plant protection products is widened by article 125 to products authorised for organic farming (Article L.254-7 of the French Rural Code, previously modified by the law No.2015-992 of 17 August 2015 regarding energy transition). As such, biocontrol products, products based on basic substances only and products authorised for organic farming will continue to be sold in self-service to amateurs after January 1, 2017. Among the laws’ measures, it can also be highlighted that patenting products obtained essentially by biological means is forbidden and that the public domain varieties can be freely exchanged or given for free between amateur gardeners or farmers. Anses published its conclusions on 01/12/2016 on the risks to bees and other pollinators of neonicotinoids-based insecticides. It was seized on the subject by the Ministers in charge of ecology, agriculture and health. Anses indicates that despite considerable research efforts, important evidence about the impact of neonicotinoids on bees are still missing. Moreover it is not possible to assess the impact on wild species from the data only available on honey bees (especially due to differences in behaviour between species). In the absence of flowering adjacent crops or flowering adjacent non-crop areas. On non-perennial attractive crops when the application is made after flowering or when the crops are harvested before flowering, and when the same measures as previously are applied. Pending confirmatory data being evaluated at EU level, Anses proposes to limit following crops to non attractive crops for bees and other pollinators. Some particular climatic conditions (ex. : mild autumn) justify additional management measures. Thus Anses recommends for winter cereals coated seeds to limit the seedling to plots that are not located close to flowering adjacent non-crop areas, at periods when the ambient temperature is not compatible with sustainable activity of bees. EFSA concluded to a high risk of exposure the year after application based on very conservative assumptions. Anses therefore concludes that approvals of concerned products will be maintained only if the approval holders provide within one year the results of residues analyses and that these results demonstrate the absence of unacceptable risks to bees. Anses emphasizes that these recommendations, based on currently available data, may change in light of the work currently underway as part of the procedure for active substance renewals at EU level.